Chef Vidita Kamat- Dynamism of a young entrepreneur! My association with Sonal goes to IHM where she was my senior. We didn’t have much interaction though, I got in touch with her recently after seeing her work and the kind of adulation she had acquired from the industry – wine experts as well as wine lovers not just in India but around the world. Found her to be an inspirational woman who has had an equally illustrious career. I wanted to share her story on this platform that has been sharing the journeys of the most accomplished female leaders in the Hospitality Industry; thought she had to be there among the innovators. Finally I get to speak with her and my recent dream gets checked! She has been busy travelling around the globe and working tirelessly on the upcoming India Wine Awards, which has emerged as the most authoritative wine competition in the country. She and her team is working actively towards the 2018 India Wine Awards at the moment. Ms. Sonal Holland, MW is India’s most accomplished wine professional. The first Indian to have been bestowed with this prestigious global title, she has won numerous awards in her incredible journey to become the only Master of Wine in a nation of one billion people! 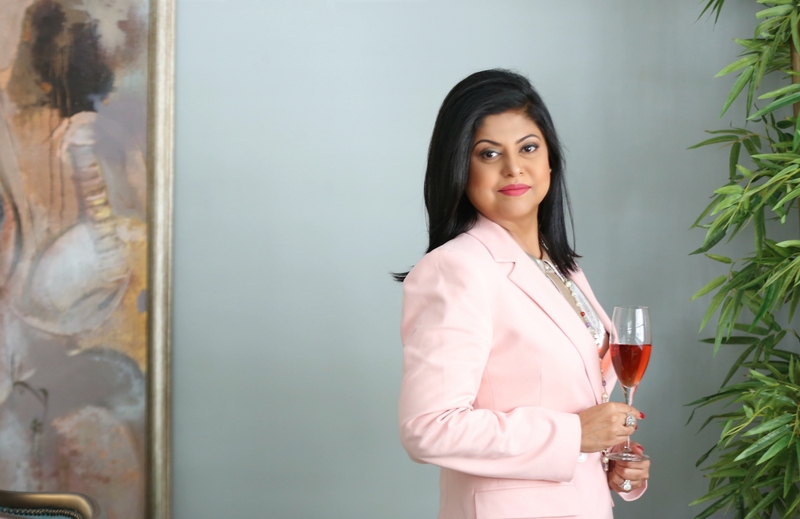 Sonal’s professional achievements include her role as the former corporate head of wine and beverages at home-grown luxury hospitality conglomerate, ITC Hotels. Currently, she is the Wine Buyer and Consultant for luxury food retail chain Foodhall, and is also the Director of the wine program for the rapidly expanding restaurant group, Gourmet Investments. Sonal is a Mumbai Girl, did her schooling and later hotel management from the prestigious IHM Mumbai. 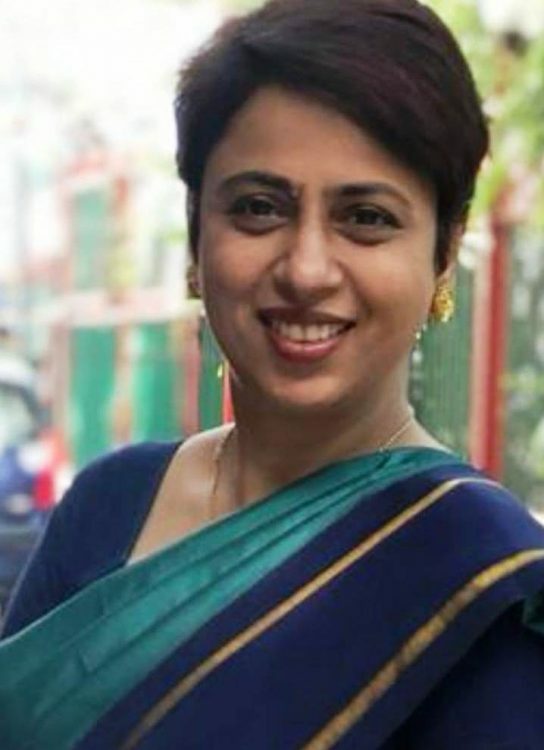 She then got her MBA from the University of Mumbai; post which she joined The Oberoi Hotels and Resorts as the Sales Manager- National Sales, handling Mumbai Area. She has also worked with Kelly services as Director of Sales – India. Her last stint before she founded the Sonal Holland Wine Academy in 2013; was with the ITC Hotels as the Divisional Head (All India) – Wine & Beverages. Wine Education: India’s foremost wine-centric institution, The Sonal Holland Wine Academy has distinguished itself as a world-class educator in India’s beverage scene. 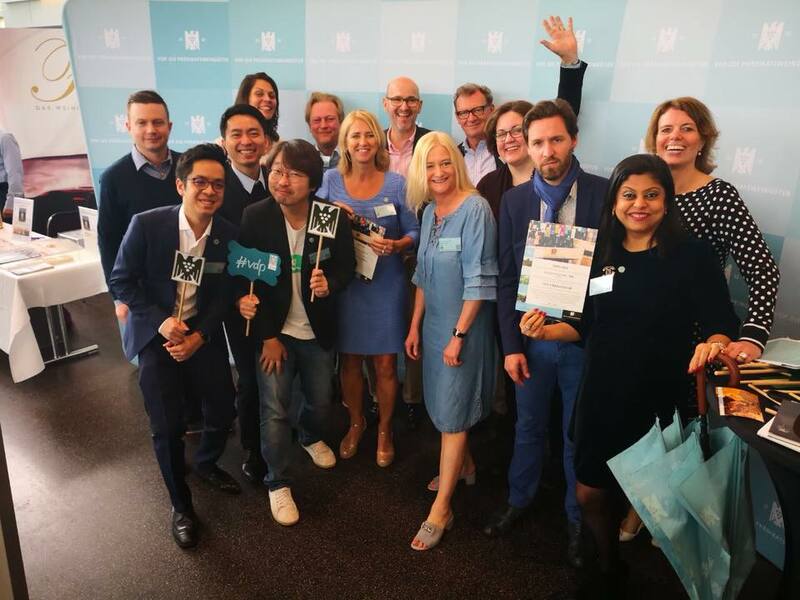 Founded in 2009, Sonal Holland Wine Academy is a licensed collaborator with Wine & Spirits Education Trust (WSET) headquartered in London, offering the most sought after wine qualifications across India. Her refreshing, jargon-free approach to demystify vino has endeared her to budding oenophiles in a land of whisky lovers. An initiative spearheaded by her in 2017, The India Wine Insider (IWI) is the most ambitious and comprehensive survey on the urban Indian wine consumer. India Wine Awards: Powered by Sonal, is the most authoritative wine competition in the nation, led by India’s most qualified wine professionals. The inaugural edition of India Wine Awards in 2017, established itself as the ultimate consumer-guide to ranking the best wines (domestic and international), available in the country. Adjudged the Wine Personality of the Year recently, Sonal is regularly featured as one of the most powerful women and most influential personality in India’s luxury industry. Institute of Masters of Wine, features her among 370 Masters of Wine in the world, 8 in Asia and the only one in India. What a privilege that is! Ms. Sonal Holland was gracious to answer our questions and what an enchanting conversation we had with her! She truly is a power woman; we also learnt about the challenges she faced. It was her never give up attitude and perseverance that got her to where she is today in her career- quite at the top! IWH: What have been the high points of your career? 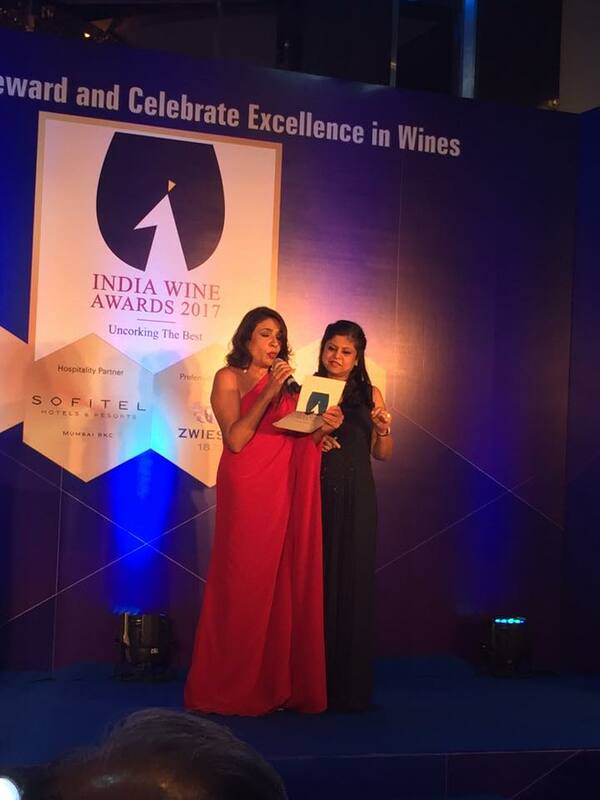 Sonal: The most thrilling moment for me has been being named India’s first Master of Wine by the Institute of Masters of Wine, UK. This happened in the September of 2016 and will remain the most cherished moment in my career as it was the culmination of a decade-long dream combined with years of grit, passion, commitment and stupendous hard work. To say that there are less than 400 Masters of Wine in the world and more people have been into space than are Masters of Wine makes achieving this global title very special. Makes me feel like one in a billion! IWH: What challenges have you faced as a woman in the industry? 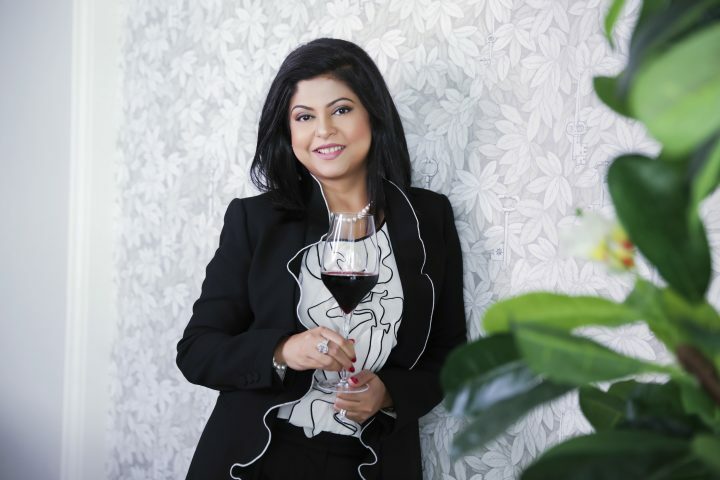 Sonal: There is no denying that the alcobev scene in India and globally has traditionally been male dominated, but this is now changing as more and more women are choosing a career in wines. Wine is still in its nascency but is the fastest growing beverage in India today, making it an exciting line of work to pursue. But just sometimes, because of its uniqueness and lack of awareness among people, wine as a profession is not fully understood. I know people who might believe that I start drinking wine every morning at 9 am, but nothing is farther from the truth. As wine ambassadors, I find myself advocating moderation in wine drinking and never being caught with your palate slurring! I spit wine more than I drink it; it’s what we do as wine judges or when we taste professionally. Apart from that, being a woman has always been my strength more than a weakness or challenge. Men around me have more trouble figuring out how to be less intimidated! IWH: What do you think of IWH? Sonal: It is an excellent initiative that brings together on a single, unified platform, women stalwarts across the hospitality industry. It’s fascinating to see just how much great work is being done by women in this sector; each one adding her unique flair and personality to the profession. Women on this platform must strive to engage, share knowledge and also encourage each other through collaborations. We must encourage off-line events that give as opportunities to meet, network and become good friends. Nothing better than doing this over a few glasses of wine! IWH: Your advice to the young professionals and students. Find your angels. This could be your husband, a parent or a friend. Hold on to them dearly as they will always give you the best advice, unconditional love and unrelenting support. Self-investment is the best investment. You are your biggest asset. Don’t compromise on whatever you do for yourself. When chasing your goals, don’t take your foot off the pedal. In a race, every micro-second counts. The best always comes after the worst. Don’t ever, ever give up. Grit and self-belief is everything. Success is a responsibility – share knowledge, conduct yourself appropriately and contribute in meaningful ways. A Master is what a Master does.